Martin qualified as an Orthotist in 1996 and works within both the NHS and private sectors. 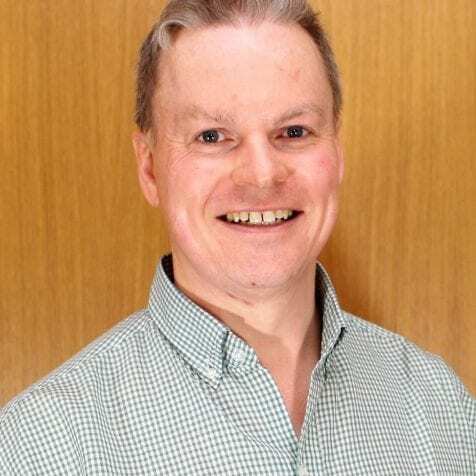 Having worked within the NHS Orthotic service, he had responsibility for developing and extending the existing Diabetic and Orthopaedic services. Martin began working privately in 2006 from his clinic in Clifton Bristol. He works closely with the local NHS and private orthopaedic, rheumatology consultants and physiotherapists, treating complex hip, knee and foot dysfunction. Martin is a member of the British Association of Prosthetist and Orthotist and is registered with the Health and Care Professions Council. He continues to work for the NHS as an extended scope practitioner within the primary care musculo-skeletal assessment team as a specialist in lower limb Bio-mechanics and gait analysis where he treats individuals complaining of recent acute injury or chronic dysfunction. His private practice, Footworks Orthotics, offers holistic bio-mechanical assessment using sophisticated video gait analysis. Martin is also the creator of, Perfectly Poised, an educational initiative which has achieved widespread international interest and is designed to improve the posture and gait of his female clients. He is married with 2 daughters who fortunately share his love of camping and all things outdoors.